Energy efficient series of motors, riogorously integrated into the modular MGS drive system. Various models are available for optimum adaptation to the relevant drive requirement. 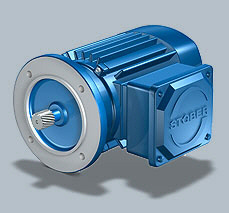 These motors comply with the IEC 60034-30-2008 guideline. from 0.75 – 45.00 kW. Purchase your Stober MGS IE2 System Motor today!